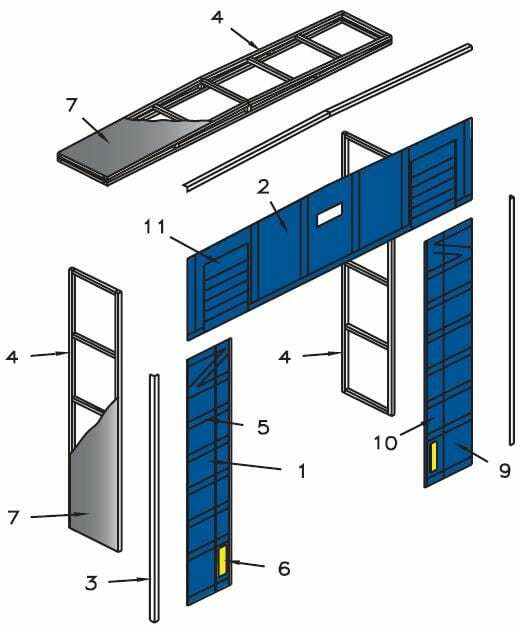 The purpose of installing loading dock seals or shelters is to maintain the internal climate of the facility and protect against product damage. 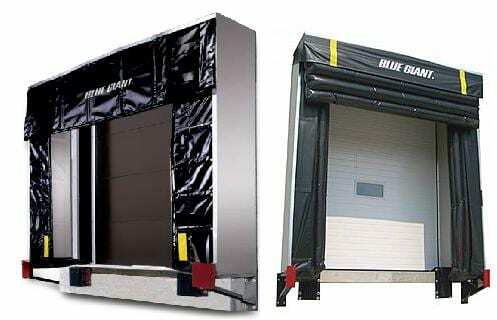 Designed for door openings typically 8’ W x 8’ H where trailers are generally a standard size. 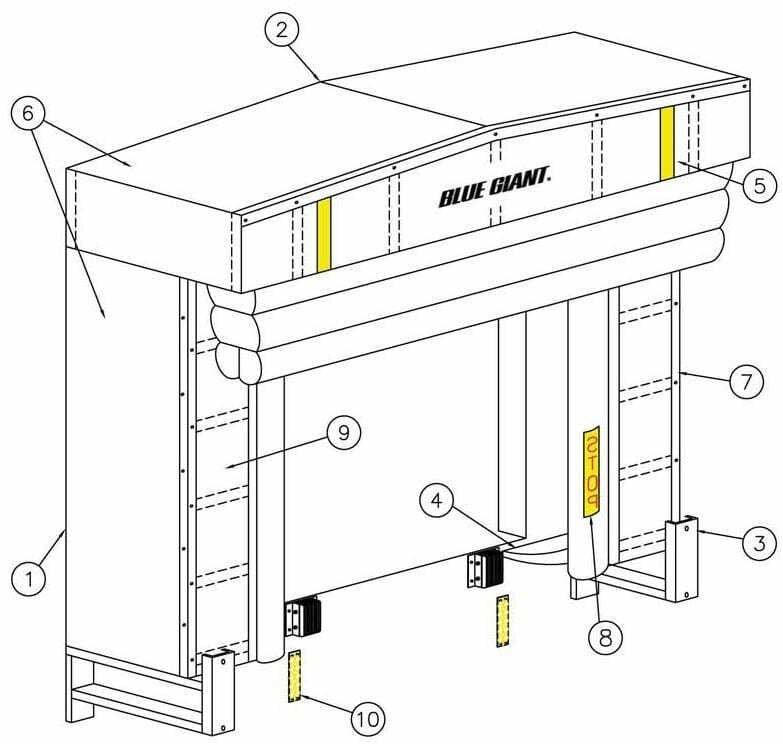 Three sided foam protection provides the most effective seal at the loading dock door. Extra wide head members, 18″ to 30″, are available to allow varied truck height coverage. As an option, a chain-weighted drop flap can be sewn to the foam head pad to service and occasional lower truck and can be held out of the way with Velcro fasteners. Fixed Head Pad Door Seal – Compression dock seals provide the most effective seal and are the most economical solution. Foam-filled side pads and fixed head pad – for servicing vehicles of the same size. Adjustable Curtain Door Seal – The split curtain design allows for adjustment after the trailer is in position. Truck shelters are the most versatile of dock seal solutions because they will accommodate the widest range of vehicles. Stationary Rigid Door Shelter – The unit sides and top are covered with rigid translucent plastic. A tight seal is maintained against the sides and top of the trailer body through spring-like fiberglass stays built into the side and top curtains as well as a foam bead at the leading edges. Stationary Inflatable Door Shelter – Inflatable Shelters are the optimum truck shelter solution. 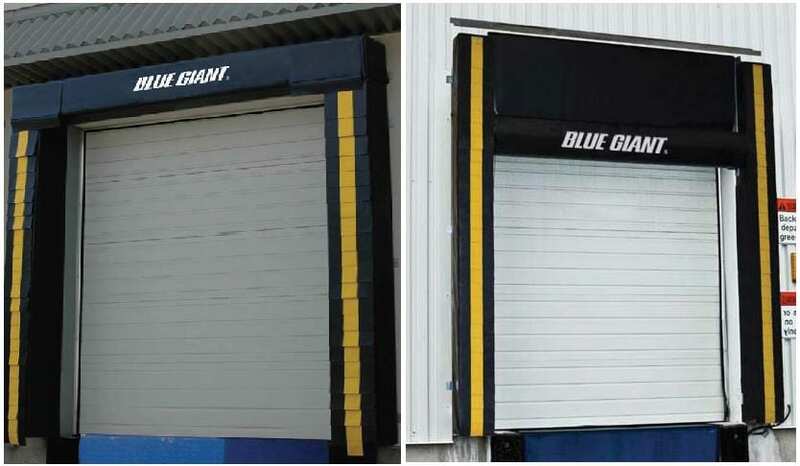 They eliminate the usual wear and tear normally found on standard truck shelters and are the best solution for any size door opening. The tear-proof fabric was developed specifically for inflatable shelters and will provide years of trouble-free service. 10. Optional “Reflective Guides” ensure accurate truck placement and help to protect frame from misaligned trailers. Located in Utica, New York – Beaton Industrial is the northeast leader in Loading Dock Seals & Shelter sales and installation. Our dock seal representative’s are located throughout Upstate, Central, and Northern New York including Albany, Utica, Syracuse, Watertown, Binghamton, Poughkeepsie, and Plattsburgh. If you would like to schedule an appointment to have one of our Loading Dock Seals specialists visit your facility for a free loading dock application survey, please contact us today!